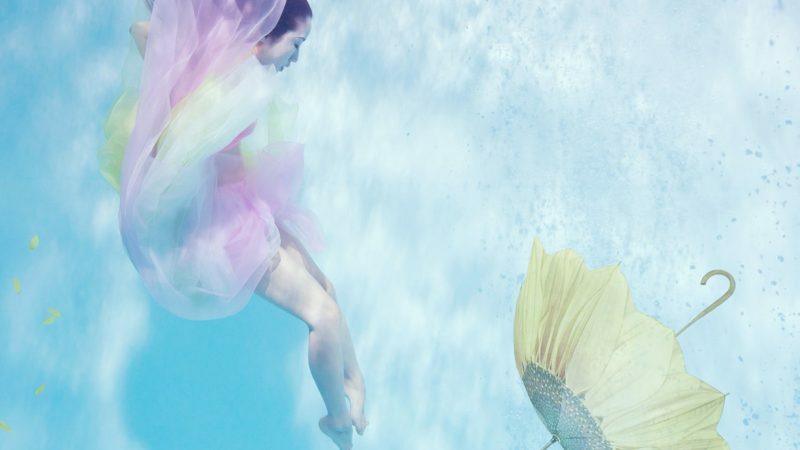 Around three years ago, without any prior experience in photography, Aquarosa (real name Kyoko Sampei) took the plunge and started a business as an underwater portrait photographer. Based in Yokohama, she works together with her sister, Masako, who deals with PR and marketing in addition to assisting with the shoots and consultations. Aquarosa’s captivating, otherworldly pictures combine natural beauty with elements of fantasy. Floating flower petals, swirling tendrils of hair, and gorgeous flowing gowns create dreamlike scenes, but the serenity and sublime beauty of her subjects is what stands out the most. Beneath the beautiful pictures there is a message of love, whether it’s in Aquarosa’s love for her work, a moment captured as a romantic gift, or the self-love of the subjects celebrating their bodies and freeing themselves of their daily responsibilities. Her customers are mostly regular people seeking a unique portrait, perhaps to commemorate a life milestone or to serve as a gift to their partners, but they soon discover the process itself can be the most rewarding part of the experience. We met up with the photographer to find out more about her unique work, and to learn about life, love and diving weights below the surface. What inspired you to start underwater photography? I went to an exhibition of underwater photography by an American photographer held in Tokyo. I thought it was fascinating so I approached the photographer and asked her if I could be a model. I flew to San Francisco to have my portrait taken in the water. After I returned to Japan it was something I felt passionate about so I decided to become a photographer myself, and started to get all the equipment I needed. 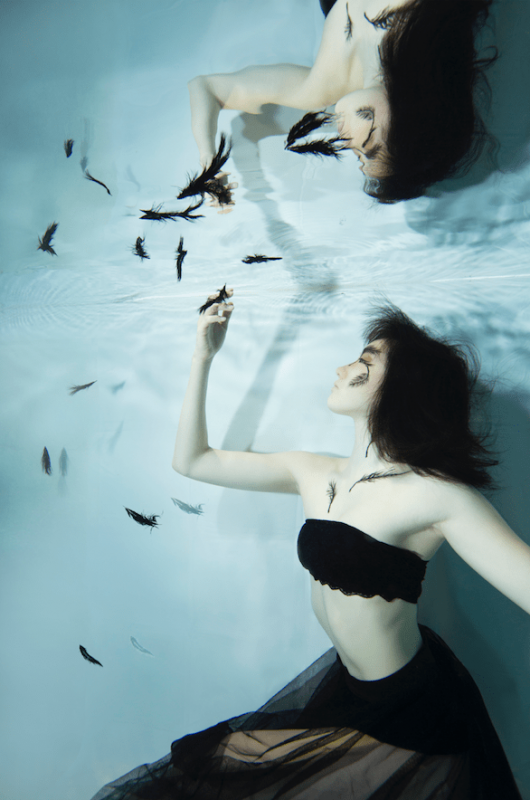 What kind of customers want to take an underwater portrait, and why? When we started the business, we expected that people who love water or diving or snorkeling would be interested, but actually it’s more often people who have a fear or water or don’t like swimming. Sometimes it’s the first time they’ve even been underwater, and through the photoshoot they conquer their fears. We also have a lot of people who do performing arts, people who use their body a lot, like dancers, or people who do yoga. People who want something beautiful and want to try something new and challenging. Of course, we have performers who use the pictures for PR, but for the general public they usually want to commemorate a special time in their lives. Many people take the photos to celebrate their birthdays, as a present to themselves or the people close to them. For some, it’s when they’ve finished raising a child or after a divorce. One customer wanted to mark the start her new life, going from being a mother back to being a woman again – her partner was so happy with the photographs, he fell in love all over again! He even asked for more pictures from different angles! When women put their photos on social media they receive a lot of likes and positive responses; we often hear that people approached them or confessed love to them afterwards and it made them feel more attractive. Do you ever have male customers? Occasionally, but it’s usually women. Sometimes couples want to be photographed together, but the man is often more reluctant; maybe it’s pride. Men tend to think more before they jump in; women can let go more easily. I photographed a saxophone player one; he wore a white shirt and it turned out really cool. Certainly, we welcome any men who want to try it! What’s the normal procedure when you organize a photoshoot? It depends on each customer – whether they want to use their own clothes or if there is a lot to arrange. We will consult with them by mail or phone. You can choose from our selection of outfits and props, and we can help you decide on colors and style, and discuss if there are parts you don’t want to show. Before entering the pool, you need to put on diving weights. We will help you to decide how to pose and what to be careful of in the water; for example, the hair will flow upwards so it’s more natural to pose with an arm raised up. After shooting, the customers can select the pictures they want and we will do a little bit of Photoshopping to fix any problems, and enhance them. 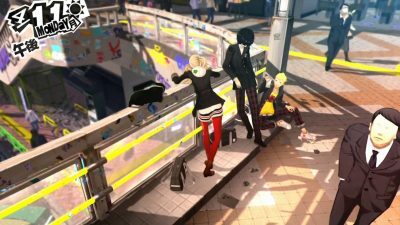 What are the most popular costumes, and have you had any unusual requests? There was once someone who wanted to try a “yokai” Japanese folktale concept. The rokurokubi is a type of yokai[apparition] that looks like a human but with an elongated floating neck. This is the most special request we’ve had, so I tried to make the costume, and photographed the head and body separately, and then edited them together. What are the biggest challenges when working underwater? Even though we plan for a long time, when you go into the water there are many factors than can change. The weight of the costume can affect your movement, the hair will move, the currents in the water can change. I need to capture the perfect moment; that makes it really challenging but also very interesting. To adjust the costume and pose involves a lot of back and forth, up to the surface and back down. It’s exhausting, so you can only do this for about 30 or 40 minutes, then you need to take a rest. What makes underwater photography so special compared with using CGI or special effects? Going underwater gives you a sense of relief and escape from the pressure of daily life. When we are still in our mother’s womb, we are floating in water – maybe that’s why [it’s special], because you go back to the freedom of being like a child. You can see the sparkle in people’s eyes; this is something we can’t create in CGI. 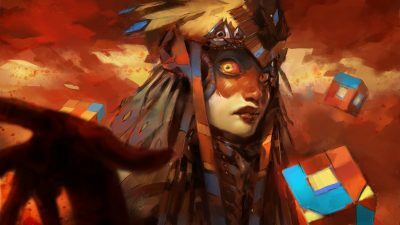 How important is it to create fantasy in today’s world? 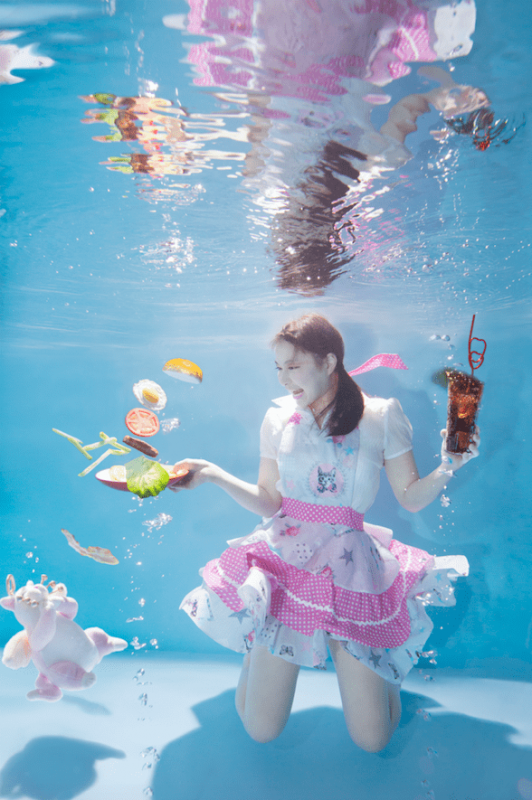 To escape from the roles we are given in life is a big reason [people choose to be photographed underwater], so I think this kind of art is really important. Water is the best environment to find yourself. Under water, you can’t recognize the outside world, you can’t see things or hear the noise, so it’s a good place to hear yourself and your mind. You can become relaxed but in a very open environment. Because blue is a color that can make you feel calm and relaxed, we want to rent out big photographs to decorate offices and meeting rooms. The pictures can be used to make the environment more serene and create a calming atmosphere. 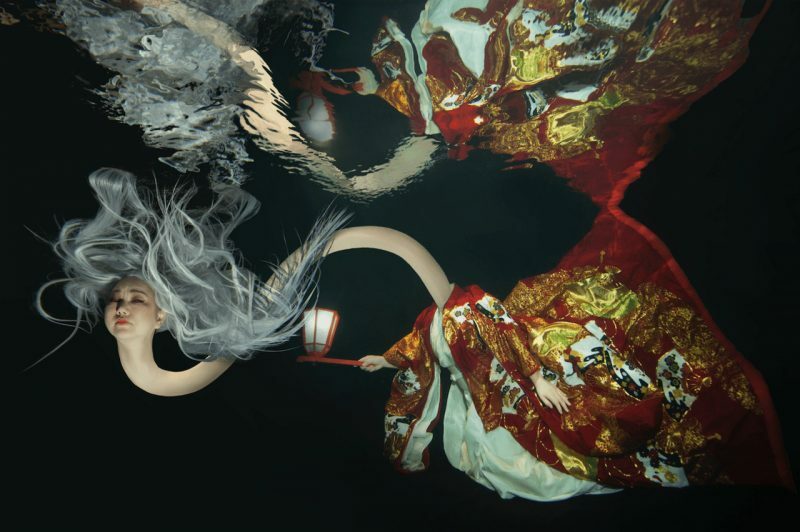 As for photographs, I want to shoot a series based on the female Japanese deities. The goddesses of Japan. I only want to do something that I’m really passionate about – a job I can enjoy every day. If that feeling wasn’t there then I wouldn’t want to do it. My passion for my work is where I invest all my love. 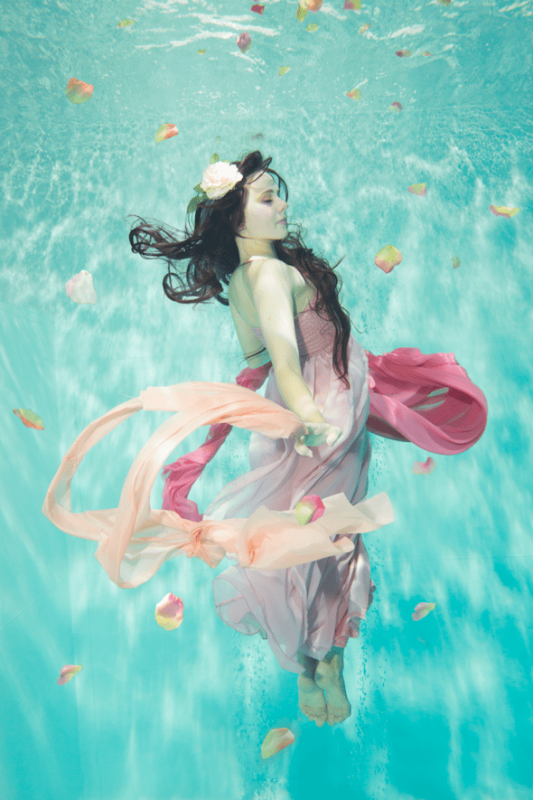 Underwater portrait sessions with Aquarosa are available from March to December. Luxury prints are available for purchase online (large size rental available upon request). 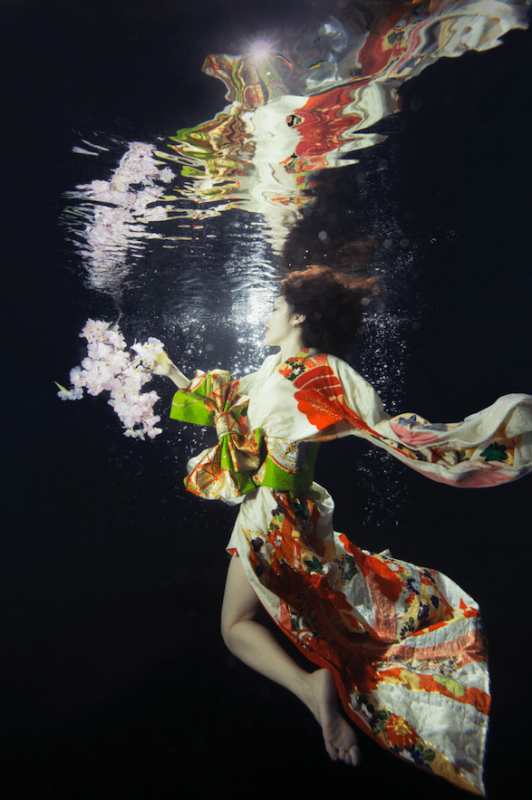 This article was originally published in Tokyo Weekender as “This Japanese Photographer’s Otherwordly Underwater Portraits Are All About Fantasy and Freedom.” It is republished here with permission.